Keep your data backed up! It's too valuable to lose! Use this utility to archive your important data to removable media like a thumb drive, external hard drive, or network drive. Allows you to keep archives by date stamp and optionally also by time stamp. Add the program to your Windows Task Scheduler and you can have your backups run automatically even when you're not logged in. Please note that this software requires you have the Microsoft .NET Framework version 4.5 already installed on your machine. 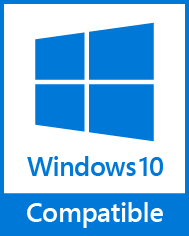 This is an absolutely free download from Microsoft and should already be included with your operating system of Windows 7 or higher, but in case you need it, please click on the link in this paragraph. Use the software at no risk for 30 days. If you decide you like the software, you can register by clicking on the REGISTER menu above. Please do not register until you've tried the software and it meets your approval.